Extra Utilites PE does not have a specific theme, this modification applies to several categories at once and can be attractive to absolutely different players with different tastes. 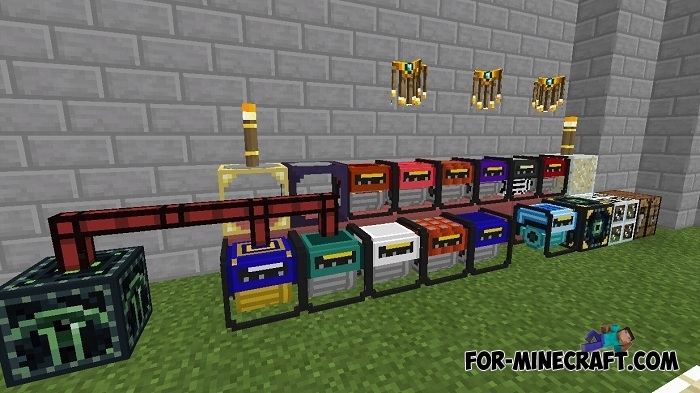 One thing is for sure - this mod is very versatile and adds 11 generators (someone calls them reactors). 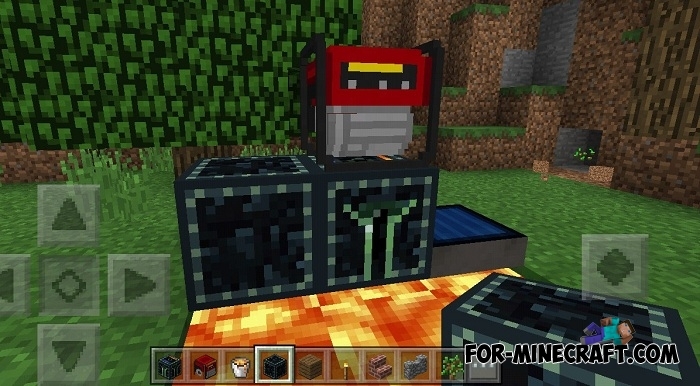 Important: all the generators generate RF energy meaning that you can install any other industrial mod (they are on our site, there are already a lot of them and they are all very interesting) in which the mechanisms work at the expense of energy consumption. 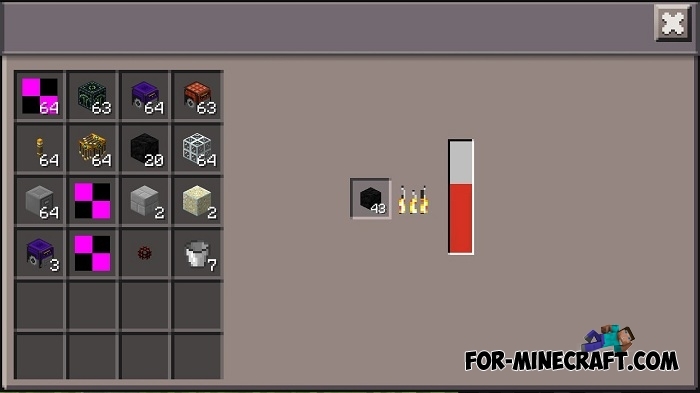 Furnace Generator - consumes fuel for energy production. Solar Generator - place in a sunny place. High-Temperature Generator - at the initial stage it is a rather inefficient generator. But as fuel burns, the temperature will rise and energy will increase. Pink Generator - the most important thing is using pink dye. 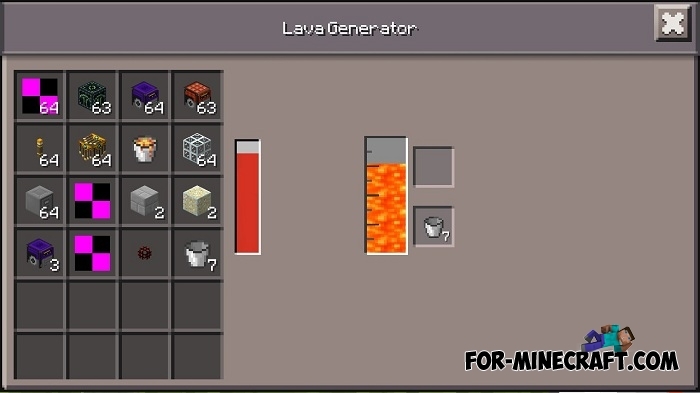 Lava Generator - one of the most inefficient but fairly simple generator requiring lava. 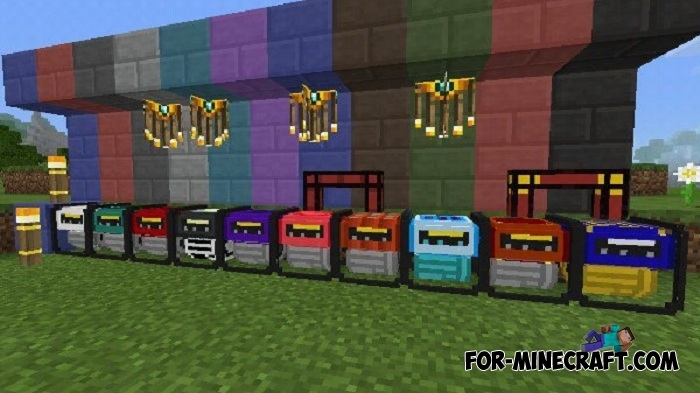 Initially Extra Utilites was developed and continues to improve for Minecraft Java, but not long ago one of MCPE fans decided to please the owners of the pocket version and made a ported upd. Here you can see the result yourself. In fact, the mod is still raw and many things can work differently from the original. If you want updates and more information or you have questions then comment and send bug reports. 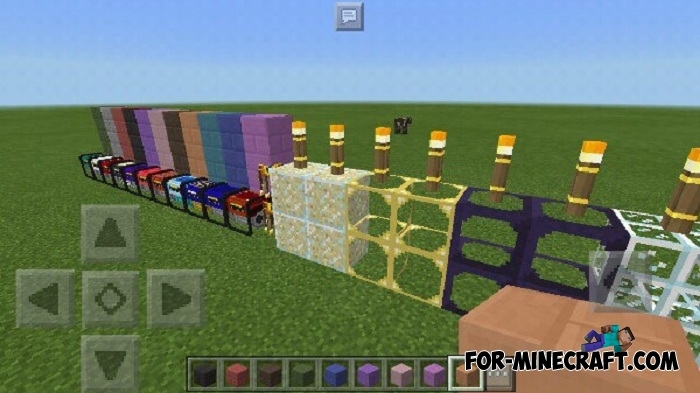 How to install the Extra Utilites PE mod?